This internet thing keeps amazing me. It obviously thinks ›chucknorris‹ is a color. It’s a holdover from the Netscape days: Missing digits are treated as 0[…]. An incorrect digit is simply interpreted as 0. 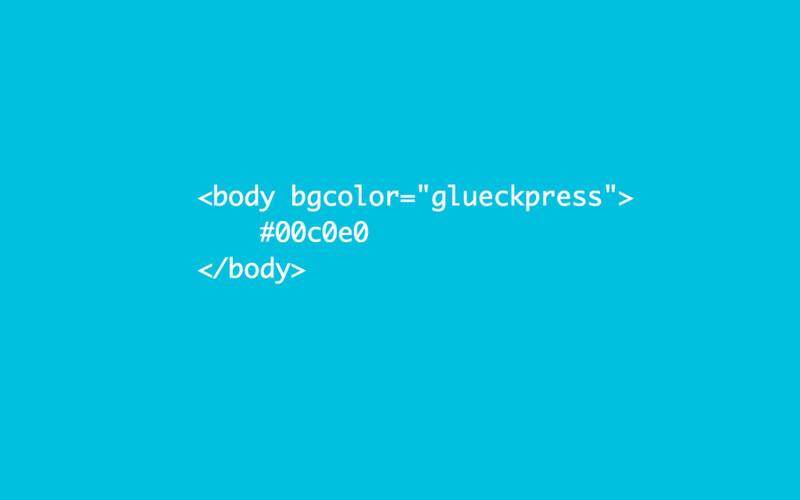 ›glueckpress‹, when used as the value for the bgcolor attribute on the body element, produces the color #00c0e0.